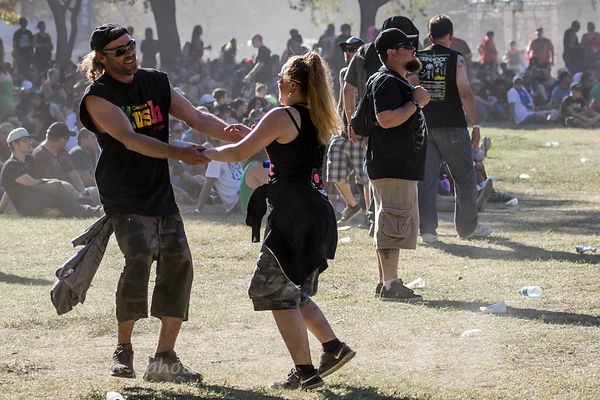 Toon's Tunes : People of Aftershock 2014: thank you, thank you, thank you. You did it again. 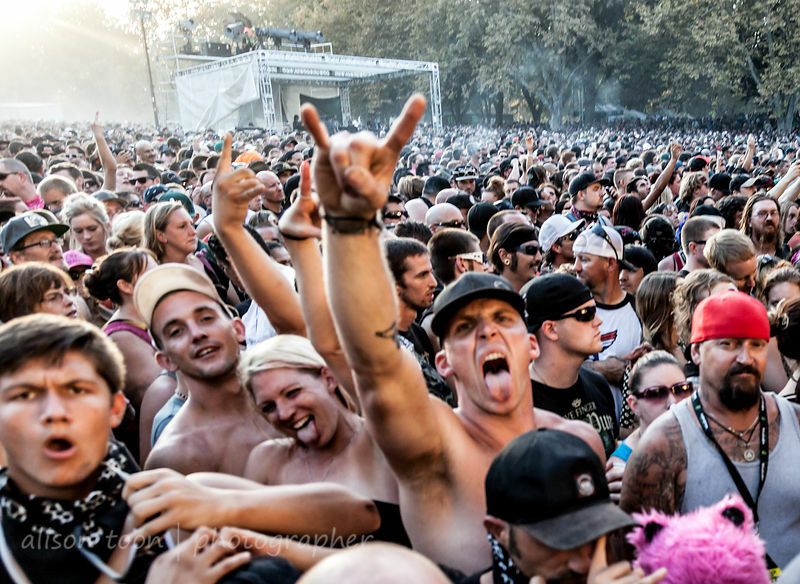 People of Aftershock 2014: thank you, thank you, thank you. You did it again. 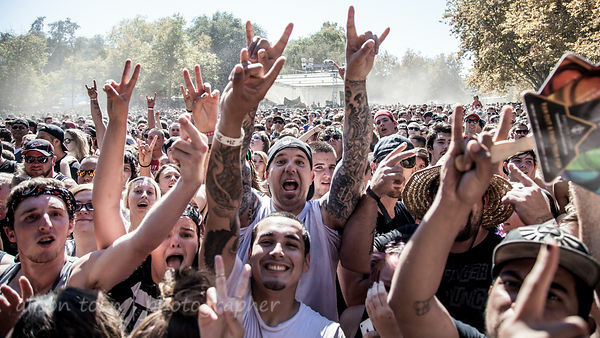 We all went to Aftershock to hear the music--and we certainly did that. What a lineup! But before talking about any of the great bands... let's give credit, once again, to the wonderful People of Aftershock. 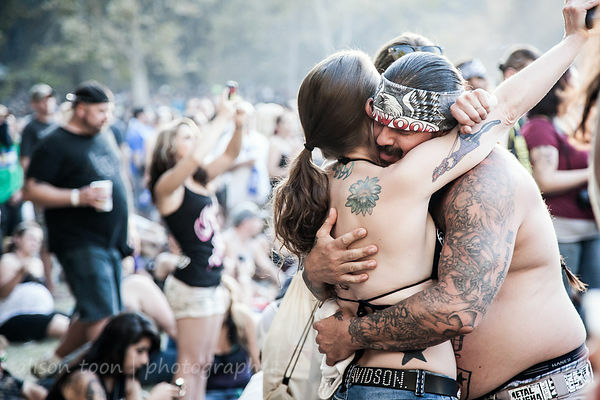 If it wasn't for you, The People, there would be no event, there would be no crowd, there would be no music! People: you organized the whole event, you publicised it, brought in the bands, created the lineup, sold the tickets, made the tickets available through competitions and give-aways; you encouraged your listeners and viewers and readers to be there; you directed traffic and kept us parked in straight lines; you cooked and sold us food, and you kept us stocked up with water and beer and Monster Energy drinks and yet-more water; you sold us T-shirts and bandannas and jewellry (and I'm sure the bandanna sales were way up there... with the dust in the sky). You had purple hair, pink hair, blue hair, no hair at all. You had a sharp mohawk and moved through the crowd like a shark through water, 'hawk in the air. And you went onto Facebook and Twitter and everywhere else, and let everyone know that you were going to be there and that they should be there too. It worked! Sunday was SOLD OUT! 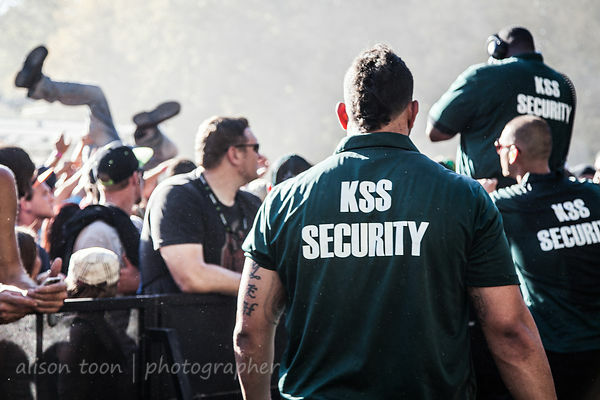 You kept us all safe and you caught the happy crowdsurfers, and you took care of anyone who wasn't feeling too good. And you were kind enough to bring water to the people who had been standing at the front, against the barrier, all day in full sun and 100 degrees plus farenheit. You danced as if no-one was looking (except sometimes they were), you hugged and you laughed and you mugged for the camera and you ate fries and corn dogs and pizza and more, and you drank more beer and more water, and you left tips with the vendors for the charities that were being supported. And you sprayed everyone with your cooling water spray, which was absolutely wonderful given the temperature. 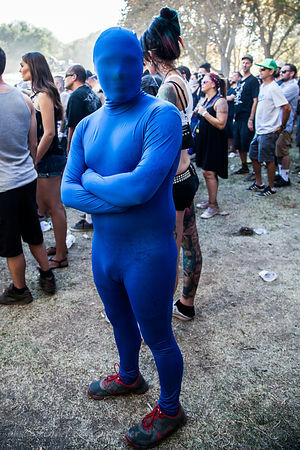 You were hugged by unicorns, and you were the Blue Man (don't ask me why, but heck, this was Aftershock). 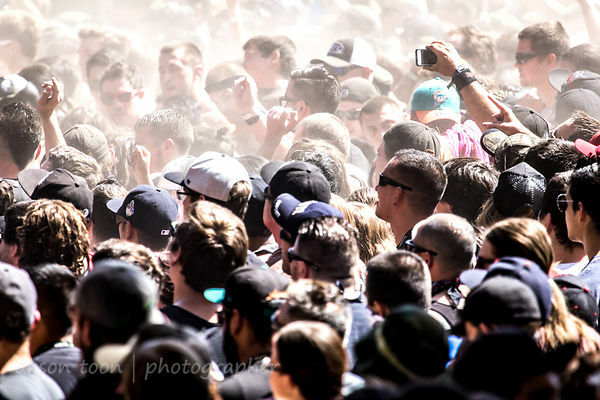 You cheered for your favourite bands, you sang along, you yelled and you jumped and you made the biggest F-ing circle pit ever, nevermind the dust, it was the Aftershock dustbowl! You went home on Saturday evening covered in sweat and dust, head to toe, and came back on Sunday for more of the same. I know you enjoyed it because I could see it in your eyes. I think you could see the same in mine. Thank you, People of Aftershock. You are all wonderful; organizers, staff, security, vendors, and the tens of thousands of people who made it to Discovery Park this weekend. You are the best... can we do it again next year? Full set of photos are behind this link: feel free to share on Facebook and Twitter etc., and tag yourselves! 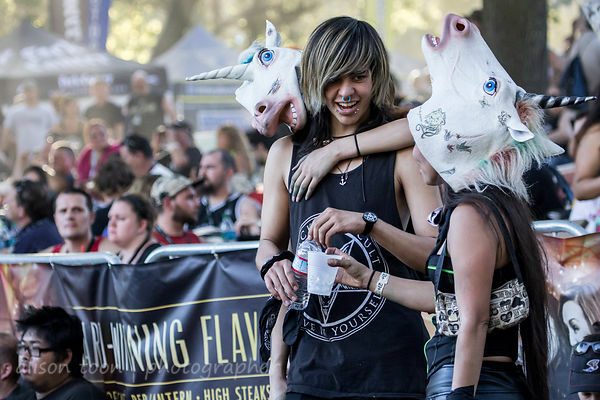 (And click here if you want to revisit People of Aftershock 2013!) And the band reviews and photos are coming soon: bookmark Toon's Tunes!